The announcement that there would be a bible study on Wednesday, September 7, 2016 was incorrect. 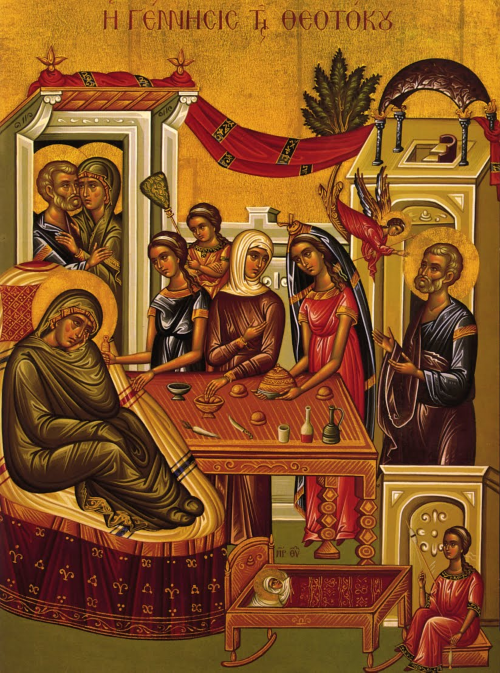 Instead we will hold the Divine Liturgy for the Nativity of the Theotokos starting at 6:30pm. This year begins a full cycle of Liturgical Services at St. Peter’s. Most will be held on the eve of the Feast Day in order to enable more people to attend. The Nativity of the Theotokos is one of the Great Feasts of the Orthodox Church, celebrated on September 8. The Holy Virgin and Theotokos Mary was born to elderly and previously barren parents by the names of Joachim and Anna, in answer to their prayers. Orthodox Christians do not hold to the Roman Catholic doctrine of the Immaculate Conception of Mary, in which it is supposed that Mary was preserved from the ancestral sin that befalls us all as descendents of Adam and Eve, in anticipation of her giving birth to the sinless Christ. The Orthodox believe that Mary indeed received the ancestral sin, having been conceived in the normal way of humanity, and thus needed salvation like all mankind. 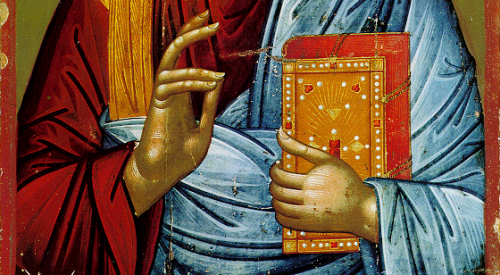 Orthodox thought does vary on whether Mary actually ever sinned, though there is general agreement that she was cleansed from sin at the Annunciation. 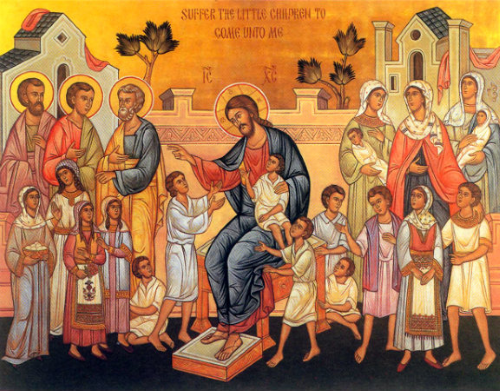 Read more on the Orthodoxwiki website. Please mark your calendars. More details of these important day forthcoming. A special thank you to everyone who made the barbecue last Sunday such a great success. Good food and good fellowship! Our parishes is blessed with men and women of many talents and giving hearts. Their contributions add to the life, health, and vibrancy of St. Peter’s and we are grateful for it. 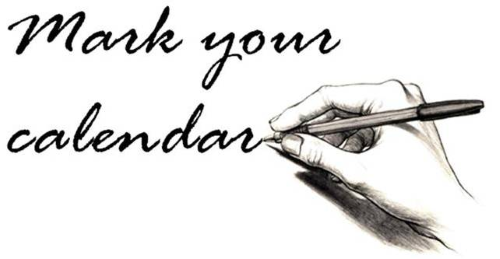 As we enter into the new Ecclesiastical Year, St. Peter’s will hold at least one monthly parish social event. Please mark you calendars. October 22 (Saturday, 6pm) New Members Welcome pot luck. November 12-13 Christmas Lent Retreat with Fr. Gregory Jensen on “Building an Intentional Community.” Fr. Gregory will speak on our calling and vocation as Christians and how to live it especially in the Church. More details as we move closer to the dates. What Happens to the Names We Offer When Entering Church? All the names you offer for the health and help of loved ones or prayers for the departed are read by Fr. Hans and included in the commemorations before the Great Entrance in the Divine Liturgy (when the priest and altar servers process through the church and place the gifts on the altar). Sometimes the lists are a bit longer and so there is a slight delay before the procession begins. Have them delivered to your inbox by signing up (scroll to bottom of page). You can also download apps for your mobile device for daily readings. Reading scripture is important. Our hearts have to be purified but so do our minds. Holy Scripture contains what our Lord wants us to know and understand. It shapes how we think, and how we think is how we see the world. Read scripture and the eyes of our mind will open to see Jesus Christ working around us more clearly. Sunday School Begins This Sunday! Sunday School begins September 11, 2016 — the first Sunday after Labor Day and parents need to register their children! During Social Hall on Sundays. Choir practice cancelled this Wednesday, September 7. We will be celebrating the Feast of the Nativity at 6:30pm. Bible study cancelled this Wednesday, September 7. And when any kind of sorrow from demons and men comes upon us, or an affliction or disease or misfortune, then especially let us diligently pray to God. Let us cry out with tears without anxiety and concern over how we should be delivered from this need, for there is no sorrow that comes to us without God’s providence. God descends to the humble as waters flow down from the hills into the valleys. Learn patience, patience, and patience, and humility will sprout with it -“grow out of it”. Out of this comes true spiritual life, and not an imitation of it. I have heard from elders experienced in the practice of the virtues that evil thoughts are engendered in the soul by showy clothes, the belly’s repletion and bad company. The Prayer List is now available on the St. Peter website. You can add or remove names using the form provided. More important is that you can print out the names periodically to keep on your family altar or near your icons and bible and reference the names whenever you pray. Tom and Jean, parents of Patty and Jerry. To Thee, O Lord, I have cried, O my God. Brethren, see with what large letters I am writing to you with my own hand. It is those who want to make a good showing in the flesh that would compel you to be circumcised and only in order that they may not be persecuted for the cross of Christ. For even those who receive circumcision do not themselves keep the Law, but they desire to have you circumcised that they may glory in your flesh. But far be it from me to glory except in the cross of our Lord Jesus Christ, by which the world has been crucified to me and I to the world. For neither circumcision counts for anything, nor uncircumcision, but a new creation. Peace and mercy be upon all, who walk by this rule, upon the Israel of God. Henceforth let no man trouble me; for I bear on my body the marks of Jesus. The grace of our Lord Jesus Christ be with your spirit, brethren. Amen.